Group managers can manage each event easily from the Events tab in the Lounge. You can also select an event from the Feed. 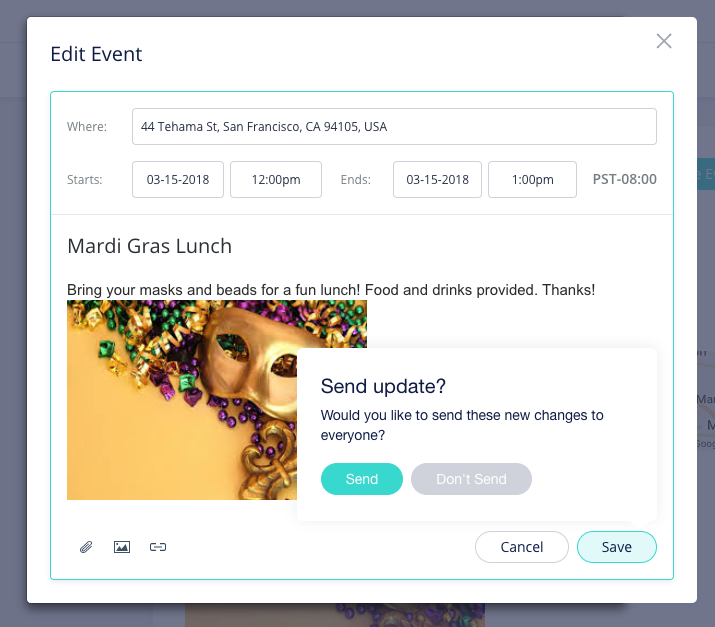 If you make changes to your event, you'll have the option to only update the event on the Mobilize platform and mobile app, or you can update the event and also send an email to update everyone's personal calendar with the new event details. If you choose to only update the event on the platform and app, members who have subscribed to the group calendar will have the updated information in their personal calendar.